Australia, the country known for Sports, Style and elegant culture have more than 100,000 weddings in a year, numerous occasions and celebrations take place here. Australia is also the Hotspot of tourist attraction for many people. 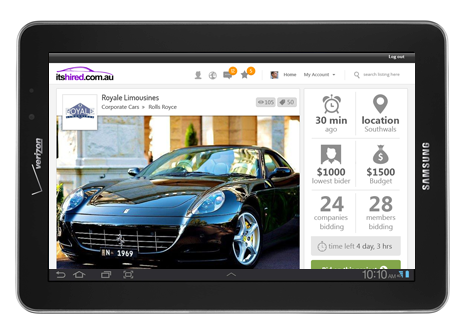 Hers is where, itsHIRED.com.au, one of the fastest growing car hire portal comes to play. With a huge variety of chauffeur driven cars , luxurious limos and hummers , the legend “Rolls Royce”, the speed demons from Ferrari and Lamborghini and the Harley's & American chopper are just a click away from you. 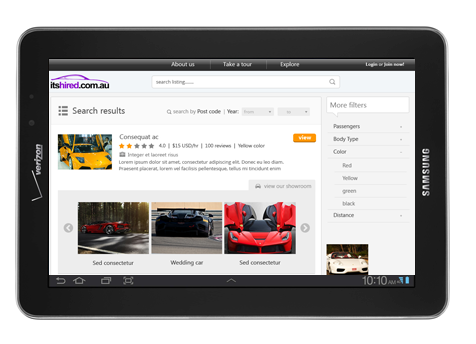 There are all the cars and bikes available to suit the mood of the customers.The list of the service provider's goes on and on, and with the help of excellent tools and other online exposure itsHIRED.com.au is a treat for the end customer's, as it has number of different car hire companies under it. The end users have innumerable choices, to choose their machines for corporate purpose or Leisure purpose or their wedding ride. 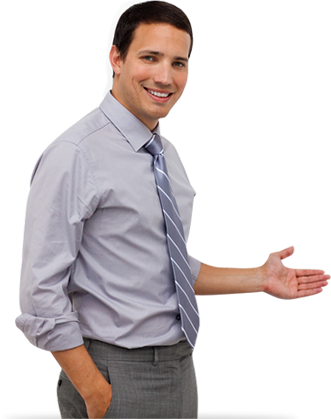 itsHIRED.com.au makes possible for the service provider's to list their services in its website and also increases the enquiry of that particular service provider considerably. itsHIRED.com.au makes sure that service provider's spend less on the advertisements and gain more once they are registered in the company's website at a minimal subscription fee. A one place stop for all your car and bike needs, It has all the answers to all the car and bike enthusiast. This is a Unique place, not only to Hire cars for your special day but also access Motorcycle Escorts. It's your special occasion, so why not show off with the wide range of hire cars.